Air Niugini wishes to advise that the airline will be switching over to our new Passenger Service System (PSS) , SabreSonic on Saturday 30th September, 2017. The migration process will commence on the 30th September at 3AM and will be completed on the same day at 9PM, PNG Local time. 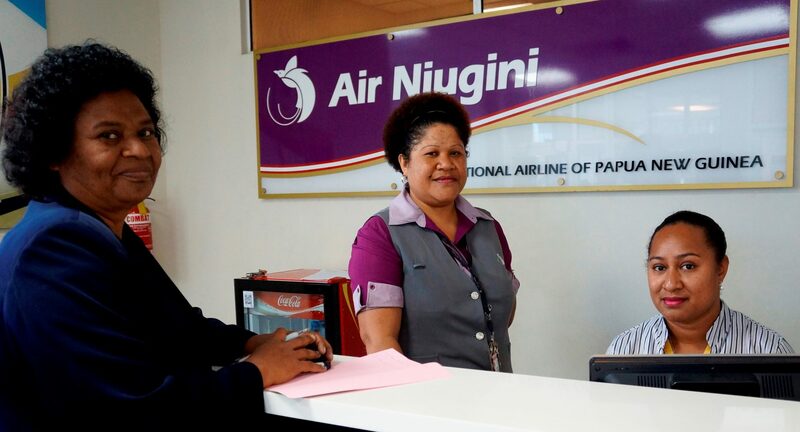 Air Niugini’s General Manager, Commercial Dominic Kaumu said during that period, all reservations and bookings via Air Niugini Sales Offices, the Air Niugini website and Travel Agencies will not be available. He also said that passengers who are traveling during on Saturday must check in at least three hours prior to departure on the domestic sector while at least 4 hours for the international sector. This is to avoid congestion during check-in. “In order to avoid congestion during check-in and to help our staff help you, we request that passengers arrive at least an hour prior to the usual check in time.” Kaumu said. The systems will go live in the new Sabre environment on Saturday late evening around 9pm at which time, normal services will become available. Air Niugini has partnered with Sabre Corporation to introduce this leading Passenger Service Systems to enhance customer experience in online sales and also as part of Air Niugini’s Business Transformation Program. The new agreement would see ANG engage Sabre on a transformation program combining technology and business consulting initiatives to reduce costs and improve customer experience.